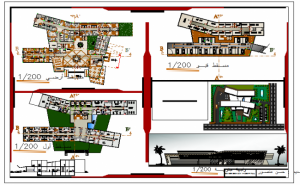 Autocad Projects | Projects Dwg | free dwg | Autocad block » Blog Archive » Architectural drawing of Emergency Hospital -Full project. Architectural drawing of Emergency Hospital -Full project. This is a Architectural drawing of Emergency Hospital design drawing with ground floor and first floor designing drawing in this auto cad drawing file.